Spello is a picturesque medieval town in Italy. Every year Spello creates a magnificent ‘Infiorate’; covering the streets with elaborate murals made from fresh flower petals! 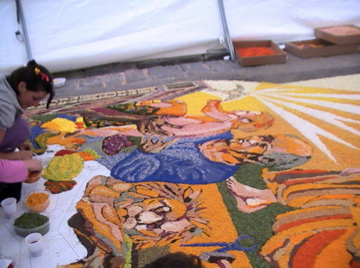 Narrow flower carpets line the winding streets and piazzas are filled with enormous flower murals (between 25 and 90 square meters) The whole town works on this for months and it lasts for only one special day. As with the Tibetan sand mandala’s the flower murals are swept away when in the afternoon the Bishop leads the crowd through the streets. 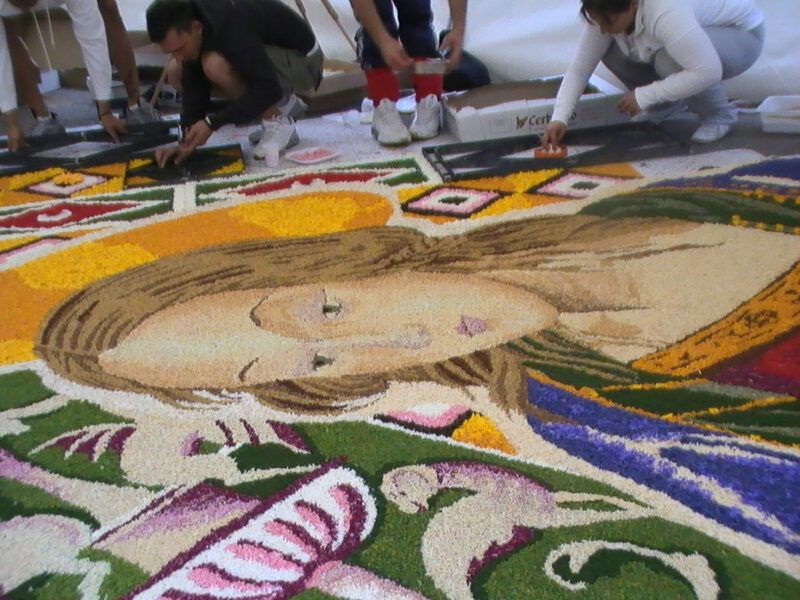 See more about the Spello Flower Festival! 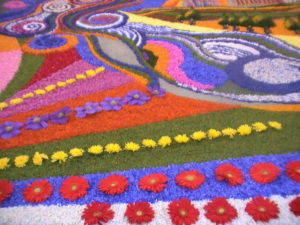 People travel from around the world to experience the vibrancy of living color coming from the living petals of flowers. These unique murals convey the spiritual life in a fresh and vivid way.